Is the Collie right for you? Find your perfect match now! Collies are the Girl Scouts of the canine world — they're intelligent, resourceful, and intensely loyal. So loyal, in fact, that a Collie once traveled from Indiana all the way to Oregon (over 3,000 miles!) to find her family. And if you own a television, this breed probably looks familiar. 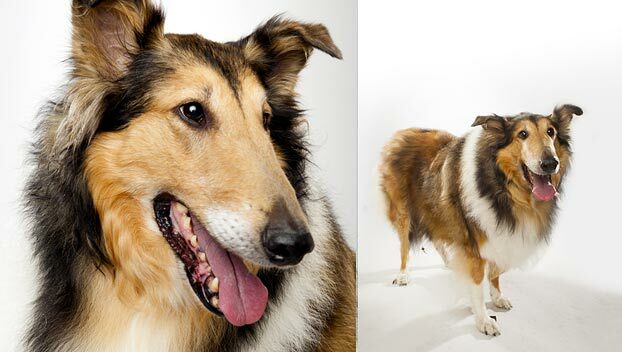 Timmy's Collie and best friend, Lassie, is one of the most famous dogs in the world. Originally bred for companionship, herding, and guarding, today many Collies are beloved family dogs. We can't promise yours will save you if you fall down a well, but train her right and your Collie will be a super friend. With origins in Scotland and Wales, this large-sized and medium-energy breed can grow to between 50-75 pounds and lives an average of 8-12 years. The breed is recognized by the American Kennel Club and classified as a member of the Herding group. WHAT IS A COLLIE'S PERSONALITY LIKE? 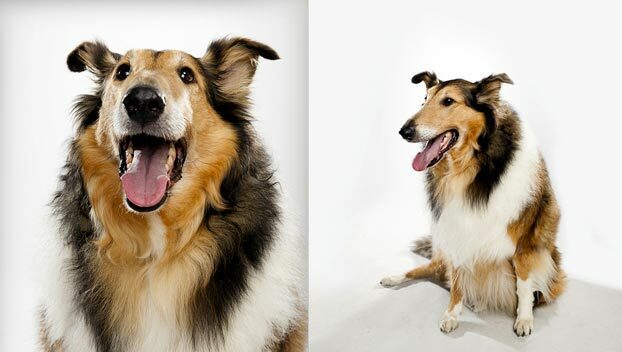 Graceful and proud, Collies are independent and intelligent problem solvers. They bond closely with their people. These dogs are great with children, but they're herders — be sure to supervise them with little ones and start training early to discourage nipping behaviors. Collies are very affectionate and can be playful. You'll want to supervise them with other pets, including dogs, but they can get along if properly socialized. They're usually happy to meet strangers. WHAT IS COLLIE BEHAVIOR LIKE? This is an active breed that will need exercise every day. But once they've run or walked or played long enough, Collies are happy to sit at home with you. However, be sure your pup is really tired and never lonely. Collies can be overly enthusiastic barkers, particularly if left alone too long. HOW EASY IS IT TO TRAIN A COLLIE? Collies were bred to work with humans and are very easy to train. 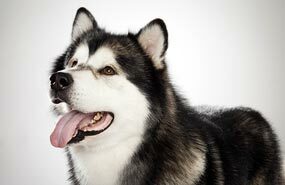 In fact, experts list Collies among the most trainable breeds of dogs. Start socialization with children early to prevent nipping. These smarty-paws love to learn, so teach them tricks and play games with them to keep their busy minds active. Reward your Collie with praise, food, or games. These dogs are usually good dog park citizens. They also compete successfully in tracking, performance, and (of course) herding. HOW MUCH DO COLLIES SHED AND WHAT ARE THEIR GROOMING NEEDS? 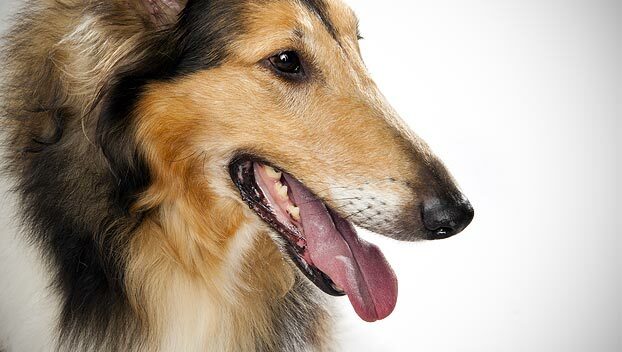 A Collie's double coat is thick and long, and can be either rough or smooth. 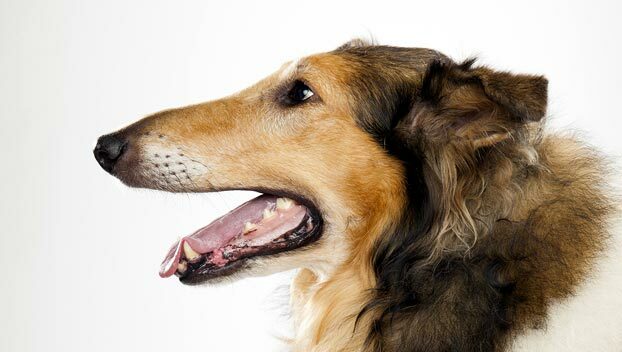 This breed comes in two varieties: rough-coated and smooth-coated. 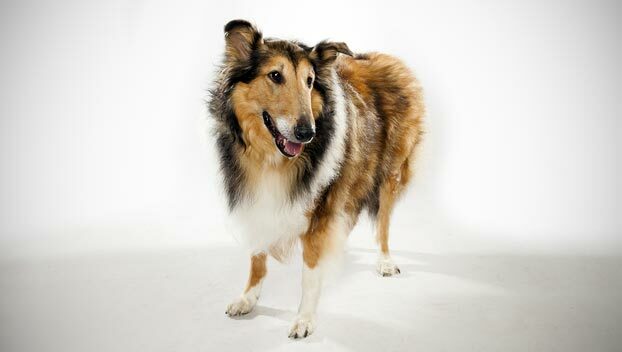 Rough-coated Collies need daily brushing and can be heavy shedders. Collies with smooth coats require less upkeep. Both varieties shed seasonally; some Collies are above-average shedders. Their fur is relatively odorless. WHAT HEALTH PROBLEMS DO COLLIES HAVE? Collies are a hardy breed. However, these dogs can sometimes develop drug sensitivities, eye ailments, and hip dysplasia. ARE COLLIES GOOD FOR PEOPLE WITH ALLERGIES? The American Kennel Club doesn't list Collies among its breeds recommended for allergy sufferers. Rough-coated Collies in particular are likely to affect folks with allergies — they shed year-round and blow their coats every six months. You can reduce your furry friend's impact on your allergies with frequent baths and brushings to reduce loose hairs and aggravating proteins in your pet's dander. Use a damp cloth to wipe off your dog after you've been playing outside. Smaller dogs have less surface area, and so produce comparatively less dander than larger breeds — definitely something to keep in mind with a dog who sheds like a Collie! Remember that no breed is 100% hypoallergenic, and any breed can aggravate allergies. WHAT'S A COLLIE'S BEST DAY? With you, working to solve a problem. Give this dog a brainteaser and stay with her, then follow up with a brush-down and jog. SHOULD I ADOPT A COLLIE? Collies can adapt to most environments with enough exercise, which makes them surprisingly good apartment dogs for their size. (But be sure you're home and they have something to do, or this dog might make your neighbors nuts with their barking.) They're equally suited to warm and cold weather. They're affectionate and very devoted to all the members of their family. And they can love, love, love kids, but supervision and training is recommended. If having a smart and devoted dog is more important to you than having fur-free clothing or time on the couch, the Collie may be a wonderful choice of canine companion. Have you decided that a Collie is the perfect dog for you? Why not be your new best friend's hero and adopt a rescue! Be sure to check out our article on what to expect when you're adopting a dog or cat.